"Baby" is a song by British electronic music group Clean Bandit featuring Welsh singer Marina and Puerto Rican singer Luis Fonsi, released as the sixth single from Clean Bandit's upcoming album What Is Love? on 2 November 2018. 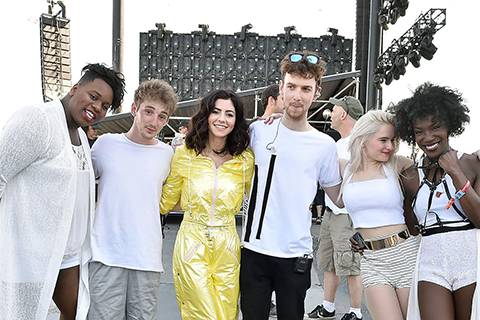 Mike Wass of Idolator called the preview of the song a "sultry banger that already sounds like a hit", saying Marina "coos" the line "But I'm already someone else's baby" over Clean Bandit's "seductive, Latin-tinged house beats". Billboard labelled "Baby" a "flamenco-infused track", opining that Fonsi's verse in Spanish provides it with a "distinctive Latin flare".